The UK as a country does not meet the current physical activity guidelines. The Department of Health recommends that adults should aim to be active daily and complete 2.5 hours of moderate intensity activity over a week – the equivalent of 30 minutes five times a week. It may sound like a lot, but it isn’t as daunting as it first appears, and we have lots of suggestions to help you get started. Once you have decided that you want to be more physically active, there are a few points worth thinking about. Apart from improving your physical and mental wellbeing, what else do you want to get out of being active? Ask yourself whether you’d prefer being indoors or out, doing a group or individual activity, or trying a new sport. If you’re put off by sporty exercises, or feel uninspired at the thought of limiting yourself to just one activity, think outside the box and remember that going on a walk, doing housework, and gardening are all physical activities. Also, would you rather go it alone or do an activity with a friend? Social support is a great motivator, and sharing your experiences, goals and achievements will help you to keep focus and enthusiasm. It can be a bit scary making changes to your life, and most people get anxious about trying something new. Some common barriers, such as cost, injury or illness, lack of energy, fear of failure, or even the weather can hinder people from getting started; however, practical and emotional support from friends, family and experts really does help. Body image can act as a barrier to participating in physical activity. People who are anxious about how their body will look to others while they are exercising may avoid exercise as a result. For women, attending a female-only exercise class or a ladies-only swimming session may help to overcome anxiety as a barrier to initially starting to exercise. Exercising with a companion can also help to reduce anxiety about how your body looks to others, and may be particularly helpful during the first few exercise sessions. The environment can also influence how you feel; gyms with mirrored walls tend to heighten anxiety, as does exercising near a window or other space where you might feel ‘on show’. What time do you have available for exercise? You may need to rejig commitments to make room for extra activities, or choose something that fits into your busy schedule. Will you need support from friends and family to complete your chosen activities, or is there a chance your active lifestyle will have an impact on others in your life? Find out how much it will cost and, if necessary, what you can do to make it affordable. What kind of activity would suit you best? Think about what parts of your body you want to exercise and whether you’d prefer to be active at home or whether you fancy a change of scenery and would prefer to exercise in a different environment, indoors or outdoors. If physical activity is new to you, it’s best to build up your ability gradually. Focus on task goals, such as improving sport skills or stamina, rather than competition, and keep a record of your activity and review it to provide feedback on your progress. There are many apps and social networks accessible for free to help. It’s really important to set goals to measure progress, which might motivate you. Try using a pedometer or an app on your smartphone to measure your speed and distance travelled, or add on an extra stomach crunch or swim an extra length at the end of your session. Remember, you won’t see improvement from physical conditioning every day. Making the regular commitment to doing physical activity is an achievement in itself, and every activity session can improve your mood. There are lots of activities you can do without leaving your front door and that involve minimal cost. It can be as simple as pushing the mower with extra vigour, speeding up the housework, or doing an exercise DVD in the living room. Whether you’re on your feet, sat at a desk or sat behind the wheel during your working hours, there are many ways you can get more active. Try using the stairs for journeys fewer than four floors, walking or cycling a slightly longer route home, or using your lunch hour to take a brisk walk, do an exercise class or go for a swim. The change of scenery will do you good, too. 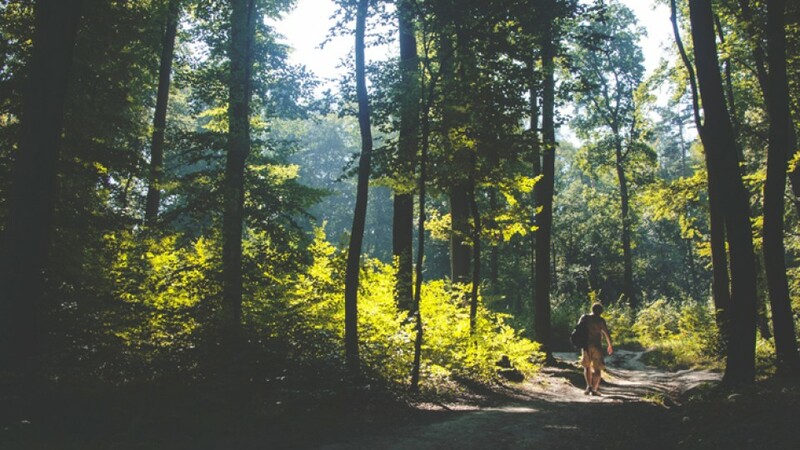 Being out of doors is a prime time for boosting your activity levels, and research suggests that doing physical activity in an outdoor, ‘green’ environment has greater positive effects on wellbeing compared to physical activity indoors.